Over the past half-century, Subaru has forged a reputation for developing some of the most robust and technologically advanced active and passive safety systems in the business. These systems give drivers of the highest performing cars in the fleet, the 2019 Subaru WRX and WRX STI, the confidence to tackle all types of roads, under all sorts of conditions. Net result: the perfect balance between sheer excitement and absolute security. A world-class all-wheel drive system. Striking agility. Superior visibility. And class-leading active safety systems such as EyeSight®◊, multi-mode VDC, active torque vectoring and oversized brakes with high-performance ABS. These are the qualities that combine to give the Subaru WRX and WRX STI excellent evasive capabilities, no matter how challenging the circumstances. The CVT equipped Subaru WRX Sport-tech with EyeSight®, utilizes two cameras to monitor activity on the road ahead, help identify potential danger and provide assistance to the driver when needed most. EyeSight features multiple advanced active safety systems: Adaptive Cruise Control, Pre-Collision Braking, Pre-Collision Throttle Management, and Vehicle Lane Departure and Sway Warning with Lane Keep Assist. All other Subaru models equipped with EyeSight have earned the highest possible front crash prevention rating from the Insurance Institute for Highway Safety (IIHS). 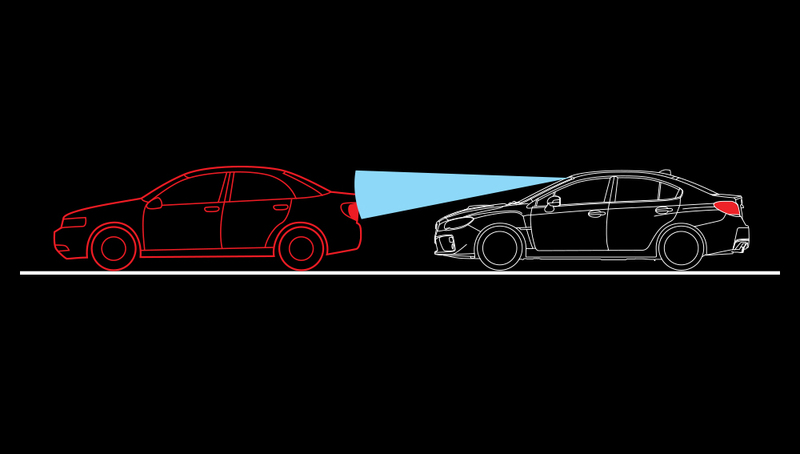 Also included on the Subaru WRX Sport-tech with EyeSight®, this system detects obstructions behind the vehicle and automatically applies the brakes if it appears the risk of a collision is high. The system also incorporates a warning feature, which triggers different patterns of alarms according to the distance the car is away from an obstruction. Standard on the Subaru WRX Sport-tech with EyeSight®, this feature allows the driver to keep the high beams activated at all times. When the system detects an oncoming vehicle or the distance to the vehicle in front has reduced, the high beams automatically dim. 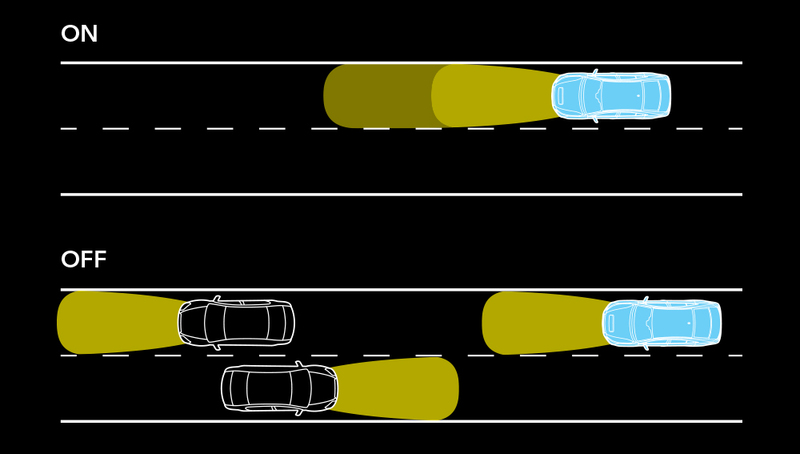 When other vehicles are far enough away, the system switches the high beams on again. These headlights automatically move to coincide with the movement of the car as it rounds corners, providing better illumination and increased levels of safety. Available on all versions of the WRX STI, the WRX Sport and WRX Sport-tech, the headlights also cast a brighter and whiter beam for improved visibility. In addition, the Sport and Sport-tech versions of both cars are available with wiper-activated headlights to ensure greater safety even in damp weather. 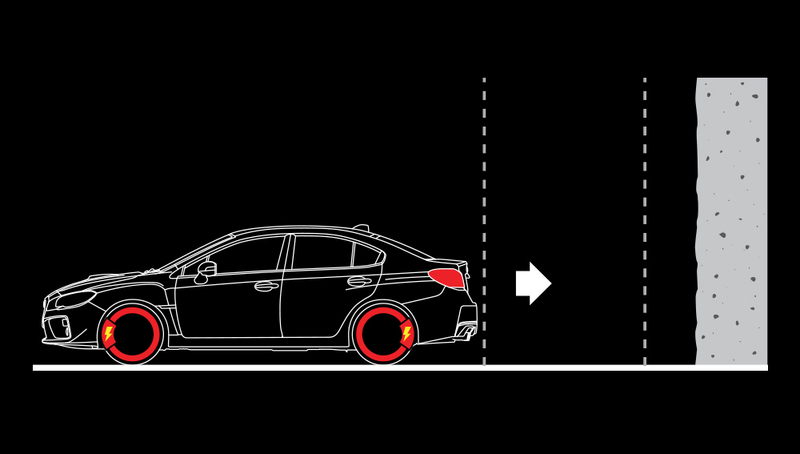 The braking systems on the Subaru WRX and WRX STI incorporate the latest thinking on anti-skid prevention, as well as other features designed with superior safety in mind. 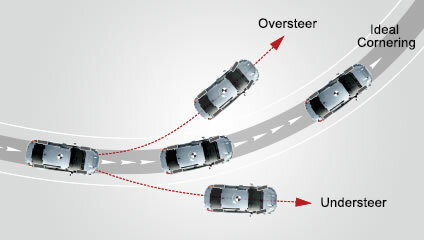 Electronic Brake-force Distribution automatically adjusts front/rear brake pressure under different vehicle loads, while Brake Assist automatically provides added stopping power in panic-braking situations. 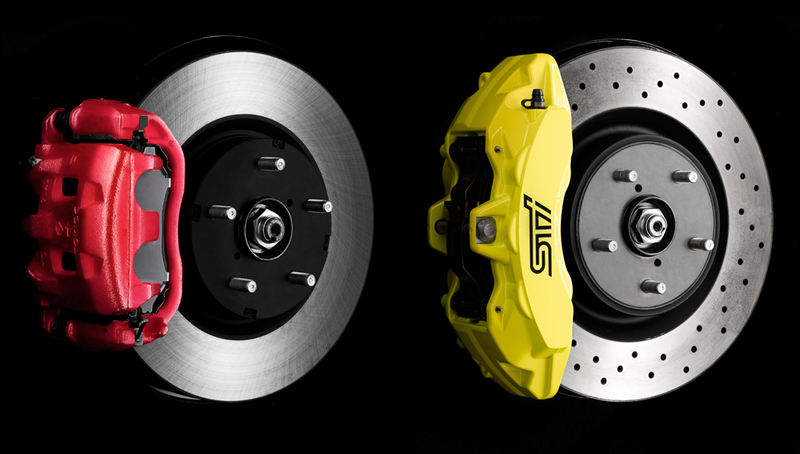 The WRX Sport-tech RS trim comes equipped with Jurid•* brake pads, which reduce brake fade and increase stopping power. The WRX STI comes fitted with ventilated, cross-drilled rotors, 6-pot front and 2 pot rear brake calipers for even more control and superior braking performance. *WRX Sport-tech RS models are equipped with brake pads, which may produce higher levels of braking noise and brake dust, even under normal driving conditions. The available SRVD system represents a big step towards full-perimeter preventative safety and has three distinct functions: Blind Spot Detection, Lane Change Assist and Rear Cross Traffic Alert. Blind Spot Detection identifies vehicles behind the C-pillars and in other blind spots, while Lane Change Assist detects fast-approaching vehicles when changing lanes. 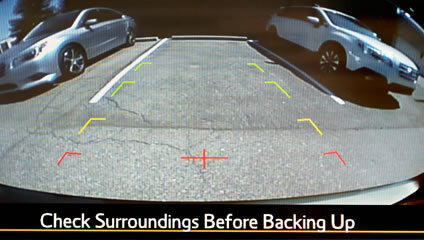 Using a sensor in the back of the vehicle, Rear Cross Traffic Alert signals drivers of close vehicles while reversing, such as out of a parking space or driveway. 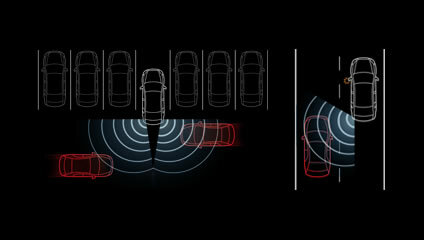 Being able to see what’s behind you is not only a great convenience, it’s a great safety feature. With Subaru’s rearview camera system, a crystal-clear image of what’s behind your vehicle is displayed onto the infotainment screen. 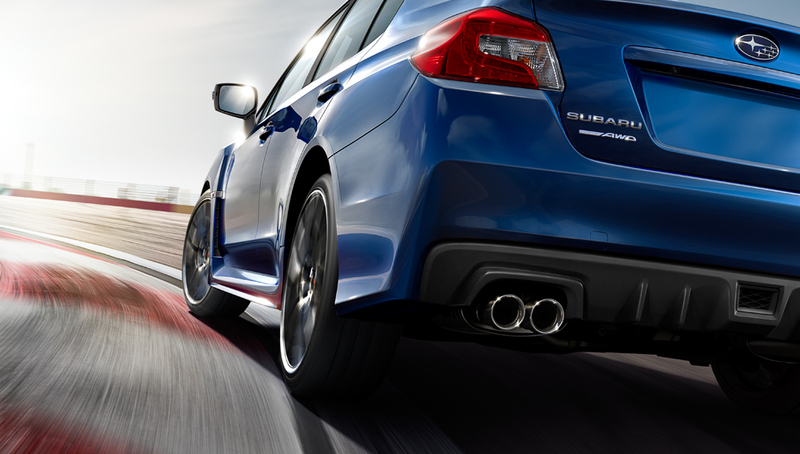 This feature comes standard on the WRX and WRX STI for an even more confidence-inspiring ride. The WRX and WRX STI both feature multi-mode VDC†, a highly advanced stability control system with three driver-selectable settings — normal mode, traction mode and off — that alter the amount of torque sent to the wheels. This system uses multiple sensors to predict when a loss of traction is likely to occur, giving the driver increased control over the situation and increased confidence for the road ahead. Active torque vectoring is another layer of active safety — and another one that lets you play harder with increased confidence. When entering a corner at speed, this system automatically analyzes the steering angle and g-forces, then applies a little braking force to the inside front wheel to keep the car on its intended line. No understeer, no oversteer, just steer. In the event that an accident is unavoidable, every Subaru boasts a wide range of passive safety systems designed to deliver class-leading levels of protection. Each vehicle features exceptionally rigid construction and incorporates the latest thinking in passive safety protection. 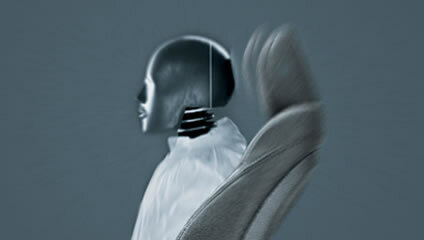 Together, these advances minimize the impact of collisions and, in turn, generate greater peace of mind. 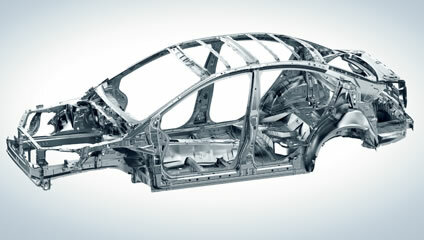 This proprietary advanced frame design, has been engineered for even better crashworthiness, strengthens the passenger compartment by linking the roof to the side pillars and the floor, thereby dissipating and/or redirecting impact energy coming from all possible directions. A front crumple zone, redesigned hinges, high-strength door beams and frame members, and a restructured rear bumper provide even more protection. A focus on passive safety is an integral part of the Subaru offering — even for the most high-performing vehicles in the line-up. 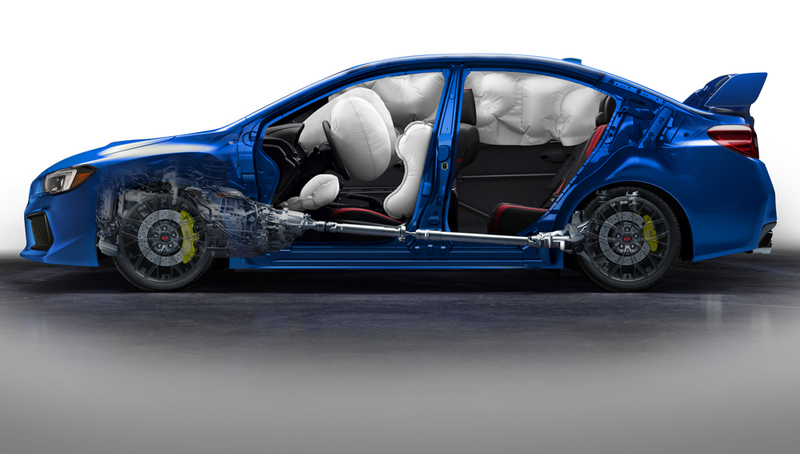 This is why the Subaru WRX and WRX STI feature a full complement of supplemental restraints, including dual-stage deployment front airbags, front seat-mounted side-impact airbags, a driver’s knee airbag, and side-curtain airbags for front and rear outboard occupants. The front seats are designed with rigid frames, anti-whiplash headrests and energy-absorbing inner seat springs to help mitigate the effects of a rear-end collision and reduce the chances of injury. This is just another example of how Subaru goes the extra mile to give drivers an unsurpassed level of confidence behind the wheel. Every Subaru goes above and beyond common practice when it comes to your safety. In the event of a head-on collision, the SUBARU BOXER engine and transmission are designed to absorb impact and then break away from the vehicle structure and drop below the passenger cabin for added protection. * To determine crashworthiness, IIHS rates vehicles good, acceptable, marginal or poor, based on performance in five tests. To qualify for 2019 Top Safety Pick+, a vehicle must earn good ratings in the small overlap front (driver-side and passenger-side), moderate overlap front, side, roof strength and head restraints tests. Vehicles must offer, as optional equipment, an autonomous emergency braking system (Subaru EyeSight,®) and earn an advanced or superior rating for front crash prevention. 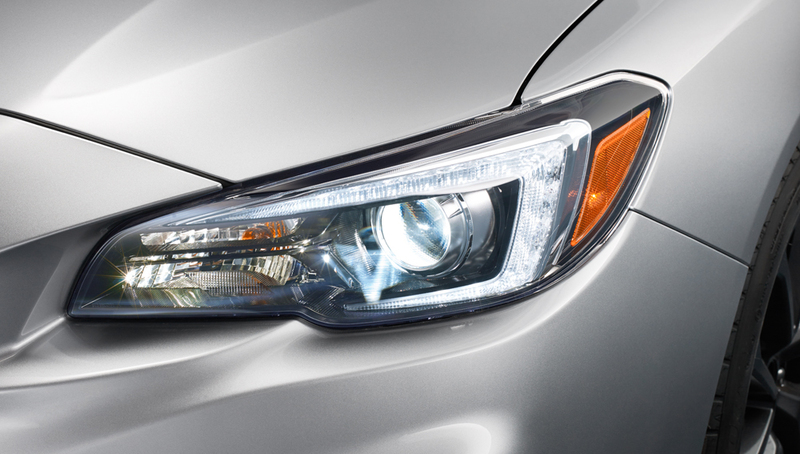 Vehicle must also offer specific headlights that earn a good headlight rating. For more details, visit www.iihs.org/ratings.